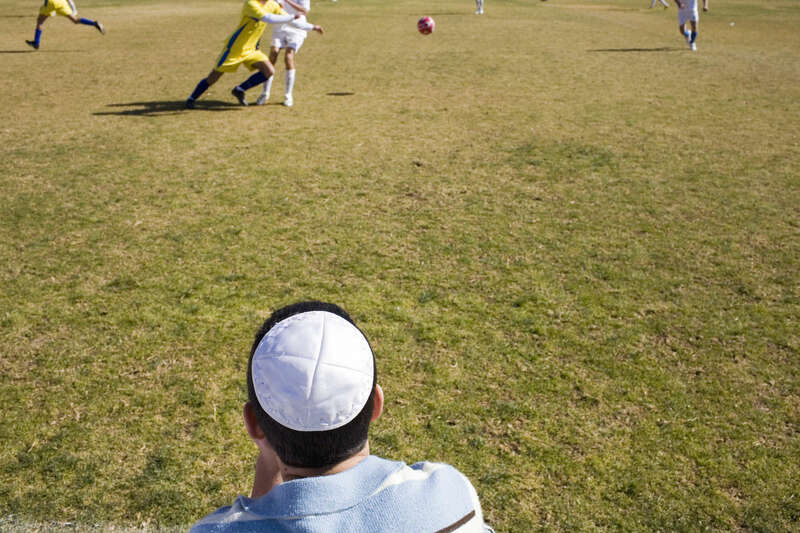 A Jewish fan watches a football match between Katamon Abu Ghosh Mevaseret FC, a mixture of Arabs and Jewsish players, and a team of Druze from the occupied Golan Heights, the first ever Syrian-born football team to play in Israel. In disaster areas, war zones and urban wastelands, football keeps humanity alive. It brings nations together and promotes unity. It encourages equality and generates pride and self-belief. It has the power to heal and to help, to motivate, to give freedom to dreams and empower a generation. There are millions of people playing the game or helping it to flourish who find that football brings a positive dimension to their lives. Away from the billionaire owned clubs with it's multi-million dollar players, Football's Hidden Story is a series of emotive human interest photographs showing the positive impact football has had at grassroot level on individuals and communities all around the world.